color of the month August 2014! August already??? Wow, I don’t even know what to say. In the spirit of time flying, I’m cutting right to the chase with The Color of the Month! 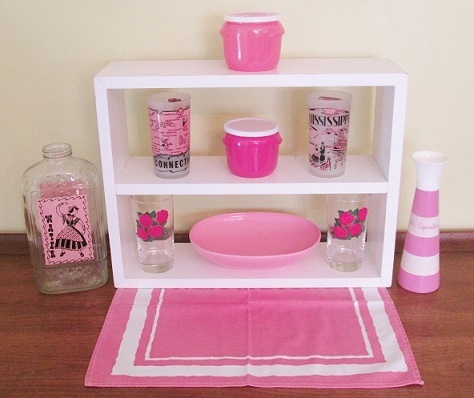 Fave vintage pieces for sale in shop: state glasses, set of 4 rose glasses, honey pots. The others: water container and Mr sprinkle part of my personal collection. 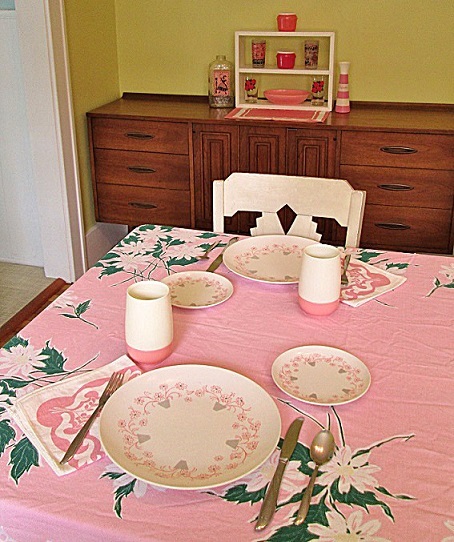 Fave vintage items: bopp decker tumblers, cute melmac dishes, pink napkins, grounded by a cute daisy tablecloth!